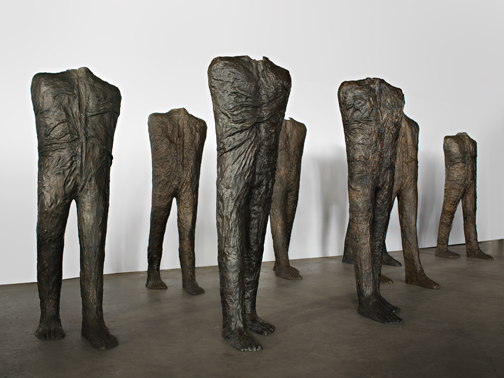 NMWA’s new contemporary exhibition NO MAN’S LAND: Women Artists from the Rubell Family Collection opened with a bang. On Thursday, September 29, NMWA members enjoyed a first look at the exhibition during Member Preview Day and the public celebrated with a special evening reception. NMWA presents a new vision of the exhibition, which opened in December 2015 at the Rubell Family Collection (RFC)’s 45,000-square-foot Miami facility. The new presentation features paintings and sculptures by 37 artists from 15 countries. Stemming from the 1970s feminist art movement, NO MAN’S LAND plays with images of the female body and the process of making, subverting the convention of handcraft as “women’s work” into a beautiful, visual conversation reclaiming the female form. The event brightened a rainy Thursday for all the attendees. Members gained early access to the exhibition through tours led by knowledgeable and engaging curatorial and education staff. Each thematic tour focused on different aspects of the collection. One member described the day as “an excellent experience that highlighted talented women and prompted important conversation.” During the day members received perks at the Mezzanine Café and in the Museum Shop, featuring the NO MAN’S LAND catalogue and the gag nutcracker that inspired artist Jennifer Rubell’s attention-grabbing Lysa III. Evening reception attendees sported glow stick accessories and enjoyed Miami-inspired appetizers and drinks—including zesty mini tacos and a specialty mojito—while DJ Elodie Maillot energized the crowd. Collectors Don and Mera Rubell were also in attendance and chatted with guests about the works on view. Intrigued? Become a member today and take part in the next Member Preview Day! 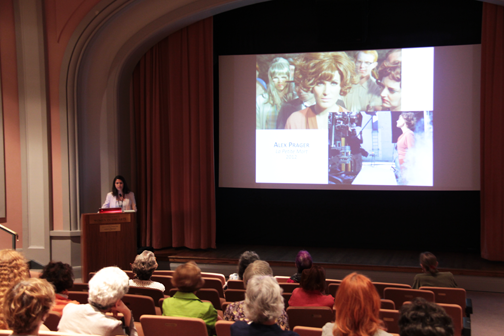 Check the online calendar for more information about upcoming gallery talks and programs. Visit NO MAN’S LAND: Women Artists from the Rubell Family Collection, on view through January 8, 2017. —Caroline Byrd is the fall 2016 membership intern at the National Museum of Women in the Arts. The National Museum of Women in the Arts experienced a blast from the past on October 30 for NMWA Late Nights: Mod Women (and Men). Costumes, dancing, cocktails, and tours accompanied the after-hours party for NMWA’s exhibition opening of Pathmakers: Women in Art, Craft, and Design, Midcentury and Today. The exhibition, organized by the Museum of Arts and Design, highlights women’s contributions to modern design and the way their aesthetic has influenced contemporary art. The museum’s Great Hall was filled with 300 guests decked out in their finest mod-inspired outfits, highlighting the exhibition’s midcentury theme. As guests arrived they were welcomed by the Vintage Vagabond pop-up shop in the Museum Shop. The first of its kind at NMWA, the pop-up shop enabled attendees to peruse a selection of vintage apparel including gloves, dresses, and kitten heels. Guests also received prop cat-eye and wayfarer glasses that were perfect for the photo booth. 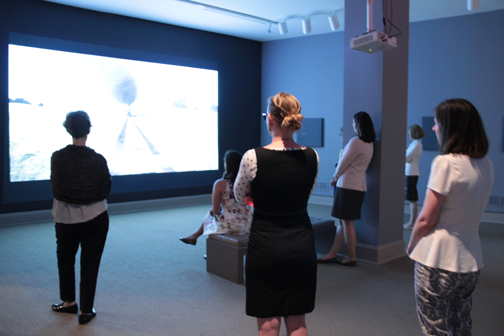 Visitors explored the exhibition through staff-led spotlight tours. They enjoyed the eye-catching, industrial bench by Vivian Beer and marveled at a metallic textile work by Marianne Strengell. Examining the intersections between art and mass production, visitors were intrigued by Eva Zeisel’s timeless ceramics—coveted for decades everywhere from posh antique shops to Crate and Barrel. 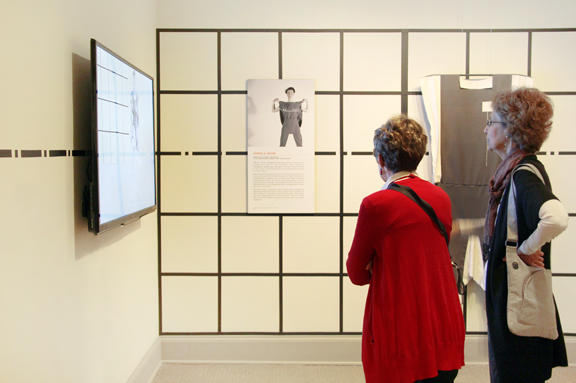 Between tours exploring the more than 80 works in Pathmakers, the multigenerational audience was entertained by songs ranging from swing music to ’90s pop. Guests mingled while resting on sleek lounge furniture worthy of the Mad Men set and enjoyed signature “Mod Martinis” with Green Hat Gin, “Mad Mai Tais” with Plantation Rum, and a fully stocked fondue bar and pigs in a blanket supplied by Well Dunn Catering. 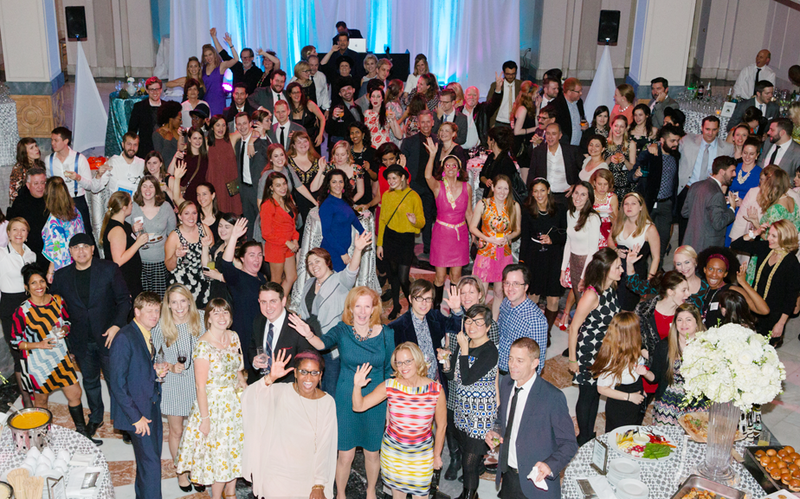 The night’s enthusiastic attendees helped celebrate the opening of Pathmakers in style. Throughout the event, NMWA staff scoped out the best costumes and awarded a prize to the winner—though it was hard to choose! Costumes featured attire inspired by the 1950s, psychedelic hippies, and the iconic Jackie O.
Pathmakers: Women in Art, Craft, and Design, Midcentury and Today is on view through February 28, 2016. Stay tuned for news about the next event, explore #ModsterMash and #NMWAnights for more posts, see more pictures on Pinterest, and check out the museum’s calendar for upcoming listings. —Bria Burditt is the development events intern at the National Museum of Women in the Arts. 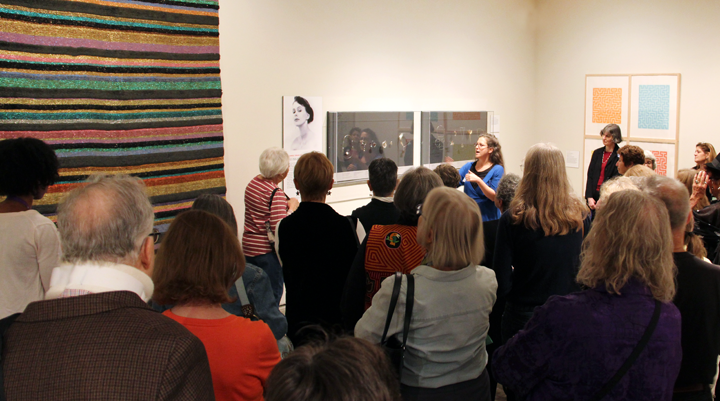 On Thursday, October 29, NMWA members gained advance access to the new exhibition Pathmakers: Women in Art, Craft, and Design, Midcentury and Today. In the post-war period, women artists were often excluded from more male-dominated fine arts fields like painting and sculpture. Instead, many worked in craft and design, combining traditional methods with innovative approaches and materials, and achieved great success. These midcentury trailblazers cleared the path for contemporary artists and designers—whose work is also shown in Pathmakers. To kick off the day, members gathered on the museum’s mezzanine level for refreshments and mingling before exploring the exhibition. 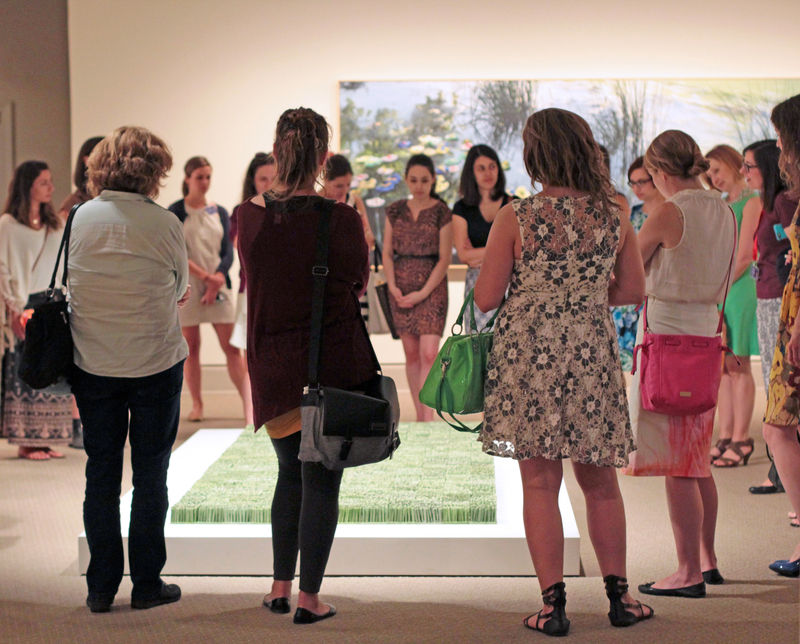 They attended special tours of Pathmakers led by guest curator Jennifer Scanlan, who organized the show at the Museum of Art and Design in New York. On the tours, Scanlan discussed the varied ways in which artists elevated mediums like weaving, ceramics, and metalwork to the realm of fine art. Visitors marveled at the mesmerizing, complex wire sculpture of Ruth Asawa, admired the fluid forms and simplicity of Eva Ziesel’s ceramics, and glimpsed into a re-creation of the UN Delegates’ Lounge interior designed by Hella Jongerius. Members also had the opportunity to attend tours of the exhibition Esther Bubley Up Front. Featuring works by photojournalist Esther Bubley, the exhibition reveals how Bubley’s photographs capture revealing and poignant portraits of American life in the 1950s, ’60s, and ’70s. In honor of the Pathmakers sneak peek, the Museum Shop stocked a pop-up shop full of authentic 1950s and ’60s clothes and accessories supplied by Vintage Vagabond. Members also enjoyed discounts off of purchases from the Mezzanine Café and the Museum Shop. Take part in the next round of Member Preview Day festivities and become a member today! 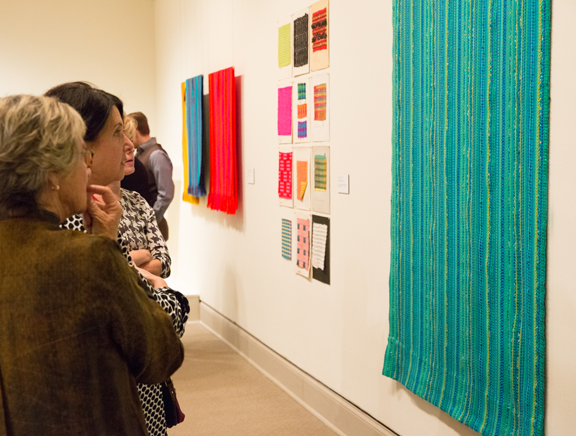 Visit the museum to explore Pathmakers: Women in Art, Craft and Design, Midcentury and Today, open through February 28, 2016. —Marina MacLatchie is the education and digital engagement intern at the National Museum of Women in the Arts. Food, Drink, and Fun: After Hours at NMWA! 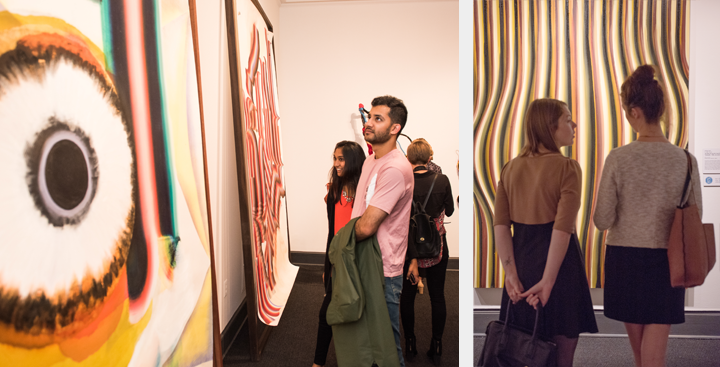 Last Thursday, the museum held NMWA Nights: Earthly Delights, an after-hours event featuring two new exhibitions, Super Natural and Organic Matters—Women to Watch 2015. Hosted together with members of the Young pARTners Circle, NMWA Nights provided staff-led tours of the exhibitions for over 100 attendees. Super Natural features women artists who do not simply document nature but treat the natural world as a space for discovery and invention. Historical and contemporary depictions of plants, animals, and natural landscapes are juxtaposed to show the diverse ways that nature has inspired women artists. Organic Matters is a part of a series presented every two to three years in which the museum’s national and international committees nominate up-and-coming women artists from their region to exhibit at NMWA. This year’s 13 selected artists work with the subject of nature in mediums ranging from photography to fiberglass. Between tours, guests met on the Mezzanine to sip on the specialty cocktail, cleverly named “Metamorphosis.” Participants sampled an array of tasty snacks—provided by Dirty South Deli in collaboration with Union Kitchen—all while listening to tunes by DJ Flying Fortress. In the Great Hall, attendees explored their crafty side by pushing the boundaries of paper. 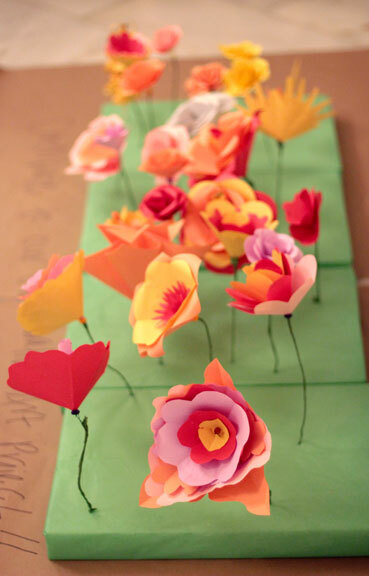 Guests sculpted flowers and contributed them to a collaborative art project. The floor installation featuring everyone’s paper flora and fauna was inspired by Organic Matters artist Rebecca Hutchinson’s Patterns of Nature. Many added to a projected photo collage by instagramming their artwork and photo booth fun with the hashtag #NMWAnights. Everyone who instagrammed—anything from floral photos to face-in-the-hole shots of collection artwork—was entered into a photo contest to win delightful prizes. Check out @womeninthearts on Instagram to see what people captured! To stay informed about future NMWA Nights, networking events, and other fun and enriching opportunities, please visit the online calendar or join the Young pARTners Circle. —Bridget Mazet is the development intern at the National Museum of Women in the Arts. Today is a very special day for the legendary Judy Chicago—her 75th birthday! Over her 75 years, Judy Chicago has made a prominent name for herself as an artist, author, educator, and source of inspiration for men and women all over the globe. 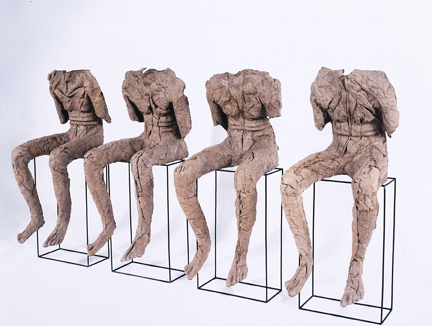 After producing installation pieces such as Womanhouse (1972) and The Dinner Party (1975), Chicago achieved international stardom as a pioneer of the feminist art movement in the 1970s. 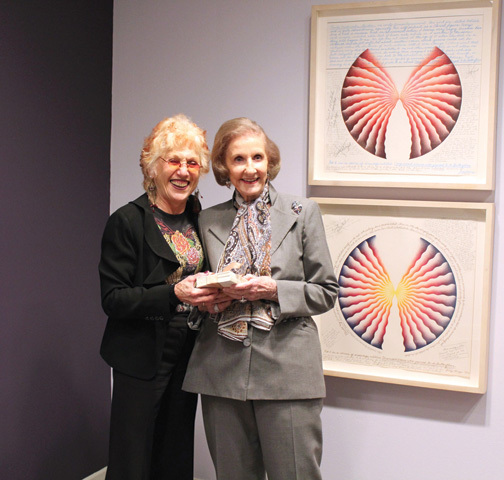 In order to commemorate this dynamic period of Chicago’s career and the coinciding feminist movement, NMWA held an exhibition of her work earlier this year, Judy Chicago: Circa ’75. 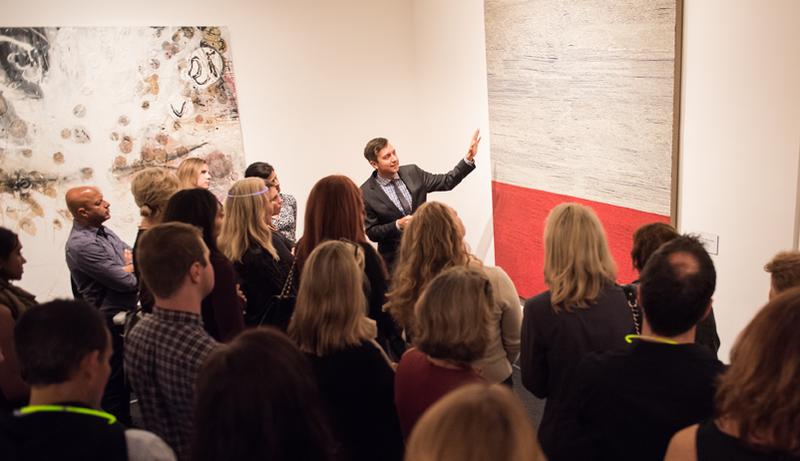 In March, Chicago visited the museum for an opportunity to speak to NMWA’s members and guests about the exhibition as well as her newest book, Institutional Time: A Critique of Studio Art Education. At the end of the discussion, NMWA Director Susan Fisher Sterling presented Chicago with personalized cards to celebrate her birthday and pay homage to her incredible artistic achievements. Chicago was touched by the heartfelt gesture by the members, noting that she wanted to read their notes right then and there. In Institutional Time, Chicago discusses her legacy, stating “I became determined to use my time on earth to create art—as much of it as possible . . . and to make a place for myself in art history.” Now, on her 75th birthday, Chicago has irrefutably, permanently left her mark on modern discourses of art history. Happy birthday to this visionary artist! 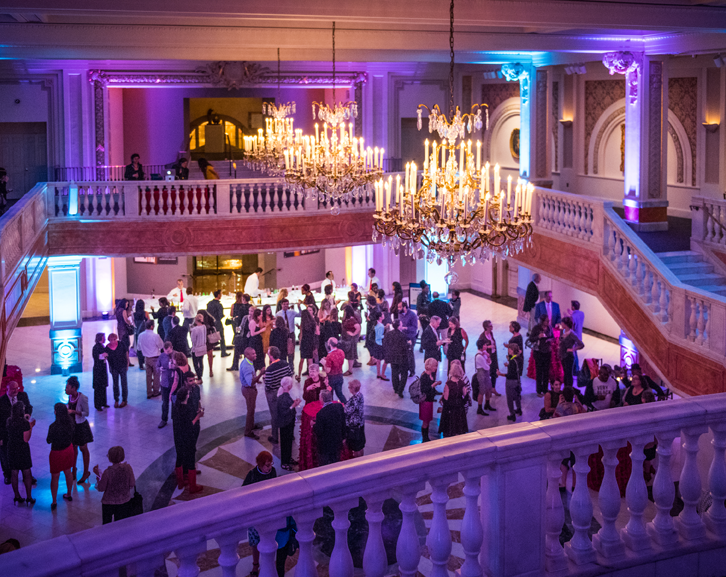 From NMWA’s founding in 1981 to the public opening of the museum in 1987, to the exhibitions and programs that have kept NMWA’s audiences educated and entertained throughout the years, the success of the National Museum of Women in the Arts depends on the loyal support of members. 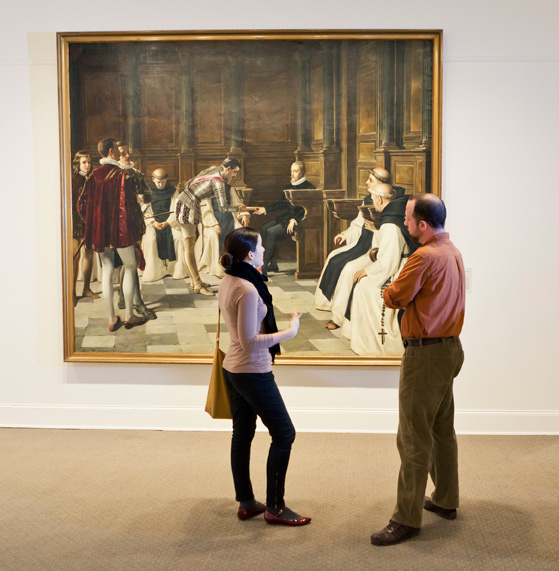 With thousands of members around the U.S. and abroad, NWMA’s membership is large, enthusiastic, and connected to the museum’s mission. 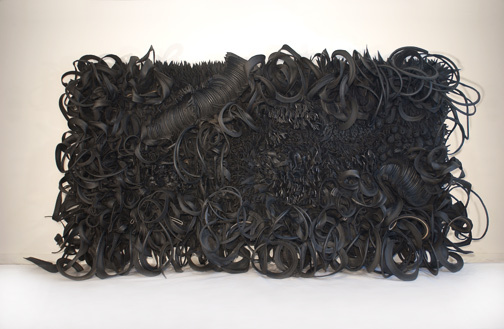 In addition to supporting the museum’s special exhibitions, valued NMWA members have helped the museum to add numerous works to the collection—by distinguished artists such as Elena Brockmann, Chakaia Booker, Lesley Dill, and Judy Chicago. Works by these artists were acquired in part from the Members’ Acquisition Fund—which is built a few dollars at a time, when members add to their annual donations—and represent a wide range of mediums, time periods, and genres. While Brockmann’s enormous work, Philip II Receiving the News of the Loss of the Invincible Armada, is an example of large-scale history painting from 19th-century Spain, Judy Chicago’s preparatory drawing for Emily Dickinson’s place setting in her iconic installation The Dinner Party is an emblem of the American feminist movement of the 1970s. Members have also helped NMWA purchase contemporary installation pieces such as Booker’s Acid Rain, which deals with themes including the intersection between domestic femininity and the traditionally masculine realms of construction and technology. Lesley Dill’s I Heard a Voice, another contemporary work, provokes individual reflection through imagery related to nature, the body, literature, and the spirit. These wonderful additions to the collection are just a few of the many works NMWA members have helped the museum to acquire. In celebration of the summer season and the subsequent influx of visitors to NMWA, June has been designated as Membership Month. If you’d like to help NMWA celebrate the artistic accomplishments of women, please join today. In honor of Membership Month, NMWA sends a special thanks to all of the members who have supported the museum over the years! Feel free to use the comments section to tell a story about the museum or let us know about your favorite accomplishment by members. Member Preview Day: A Sweet Success! On Valentine’s Day, NMWA members were treated to a delightful day, along with some tasty snacks! Those who attended snuck a peak at NMWA’s two newest exhibitions, A World Apart: Anna Ancher and the Skagen Art Colony and Freya Grand: Minding the Landscape. A World Apart provides a glimpse into the life of one of Denmark’s premier female painters, Anna Ancher (1859–1935). 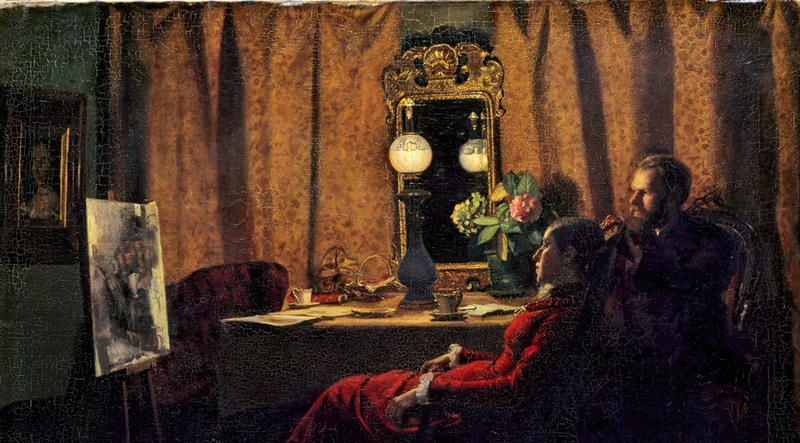 Ancher was commended for her artistic talent during her lifetime, but remains little-known in the U.S. She was respected by colleagues—including her husband, painter Michael Ancher—in the predominantly male art colony in Skagen, a remote coastal town on the northern tip of Denmark. The couple collaborated on a piece, Judgment of a day’s work, that is on view in A World Apart. Ancher’s works, many of which depict interiors, are complemented nicely by the striking landscapes of Freya Grand in NMWA’s other spring exhibition, Minding the Landscape. Grand, a D.C.-based artist, has traveled the globe in search of remote and breathtaking landscapes for her subject matter. Her works capture specific moments in time, such as a wave breaking on the rocks, drawing viewers into her experiences of the awesome power of nature. Between tours, members gathered in the museum’s stunning Great Hall to enjoy tea, coffee, and an array of scrumptious mini cupcakes in honor of Valentine’s Day. Many had lunch at the museum’s Mezzanine Café and visited the Museum Shop, receiving a special Member Day discount of 20% at both locations. 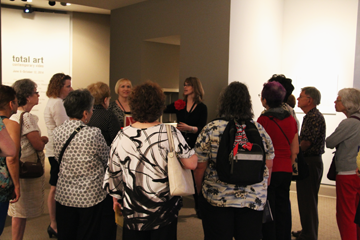 Members also explored NMWA’s collection galleries and received a free gift from the membership department before they left for the day! One member stated, “My neighbor is so impressed that she plans to join as a member!” If you would like to take part in the next batch of Member Day fun, join today at http://www.nmwa.org/support/membership. For a list of our upcoming events, visit: http://www.nmwa.org/visit/calendar . —Abigail Luhn is the member relations intern at the National Museum of Women in the Arts. Now open at NMWA, A World Apart: Anna Ancher and the Skagen Art Colony showcases over 60 paintings by the avant-garde Danish painter and her contemporaries at Skagen, a seaside artists’ community in northern Denmark. Rejecting idealized subject matter, the Skagen painters captured the reality around them. The exhibition’s thematic sections include images of Skagen’s rural landscape, the Anchers, hard-working townspeople, domestic interiors, and breakthrough works that showcase Anna Ancher’s stylistic innovations. A World Apart is on view through May 12, 2013, and the 144-page exhibition catalogue is now on sale in the Museum Shop. Visit NMWA on February 20 for a gallery talk with Mette Bøgh Jensen, check out other exciting programs, and don’t miss this special exhibition!